Whether you’ve got only a few days, a week or longer, we have customized itineraries to give you a taste of Portugal’s varied highlights. 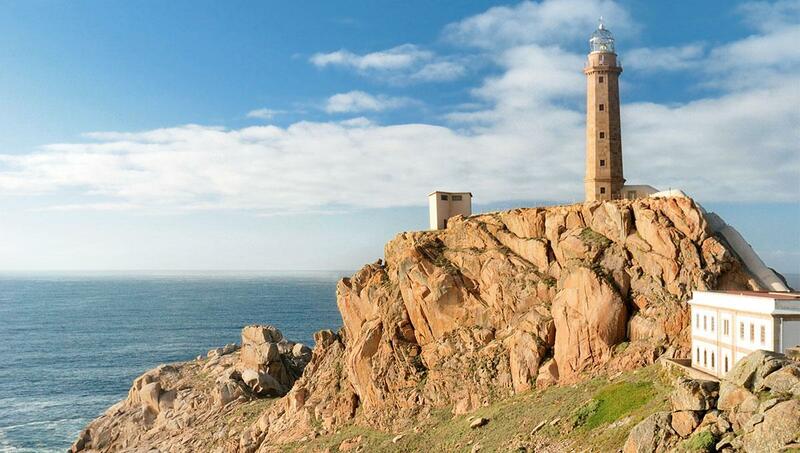 This Europe tour package takes in Portugal’s unmissable historic towns and natural attractions. The itinerary also includes the best beaches in the country famous for its superb sands. 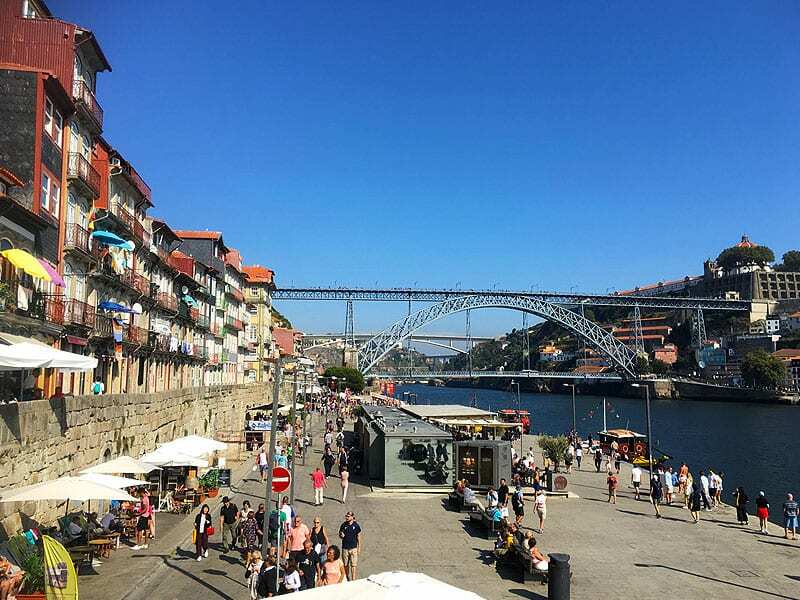 Upon your arrival in Porto, you'll be met by your private guide at the airport and transferred to your centrally located hotel where you can relax for some time before spending the afternoon wandering the city at your own pace. 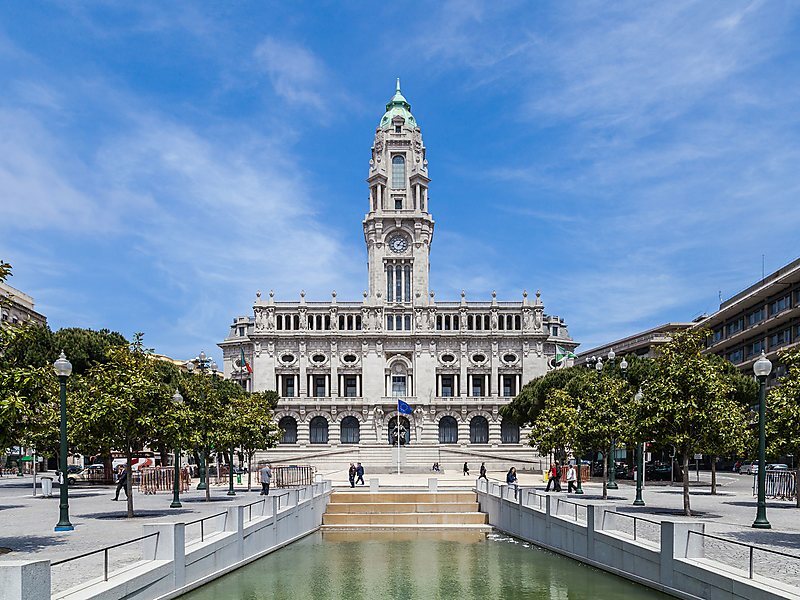 Today, check out the historical sites of Porto on a half-day city tour that includes sampling the delectable local food and drink. Later in the afternoon, you'll embark on a cruise down the Douro River later accompanied by a traditional Portuguese lunch. 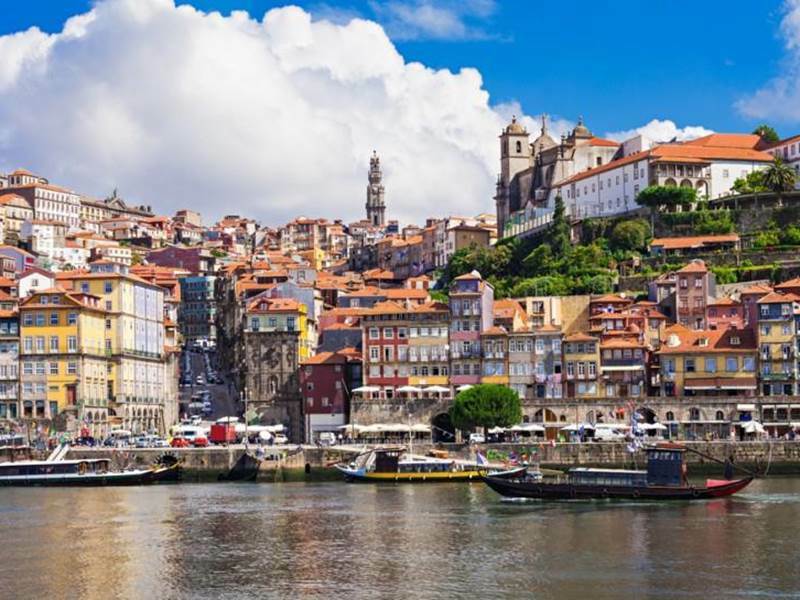 After the cruise, you can spend your entire afternoon at leisure heading to the port wine caves in Vila Nova de Gaia, located just across the river from Porto. 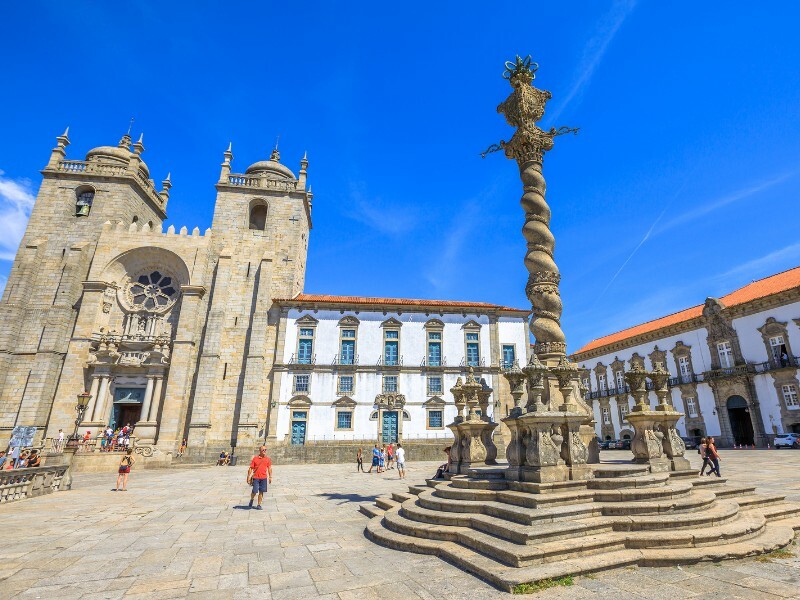 This morning, get ready to head north from Porto, making your way towards the Douro Valley, which is one of the oldest demarcated wine regions in the world, with stops at Braga and Guimaraes, the birthplace of Portugal's first king. 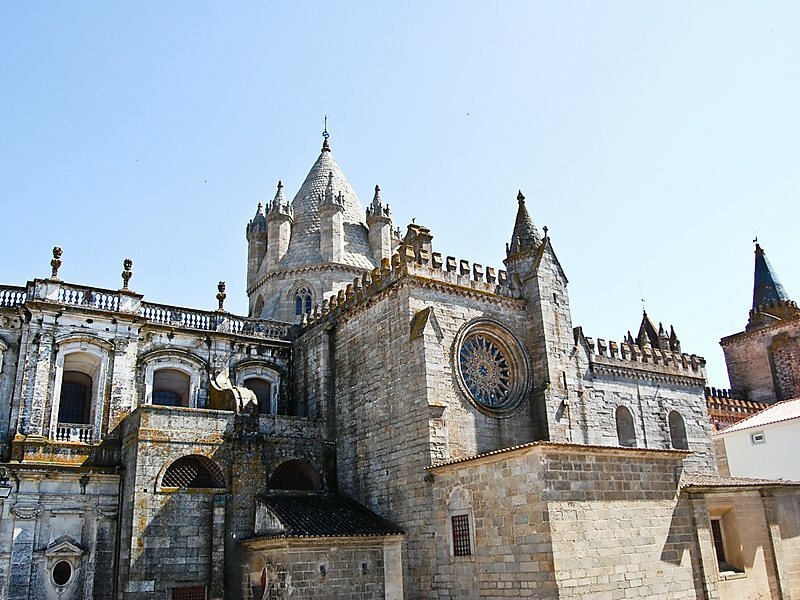 In Guimaraes, wander the main town, and in Braga, you can praise Bom Jesus, a cathedral situated high above the city. 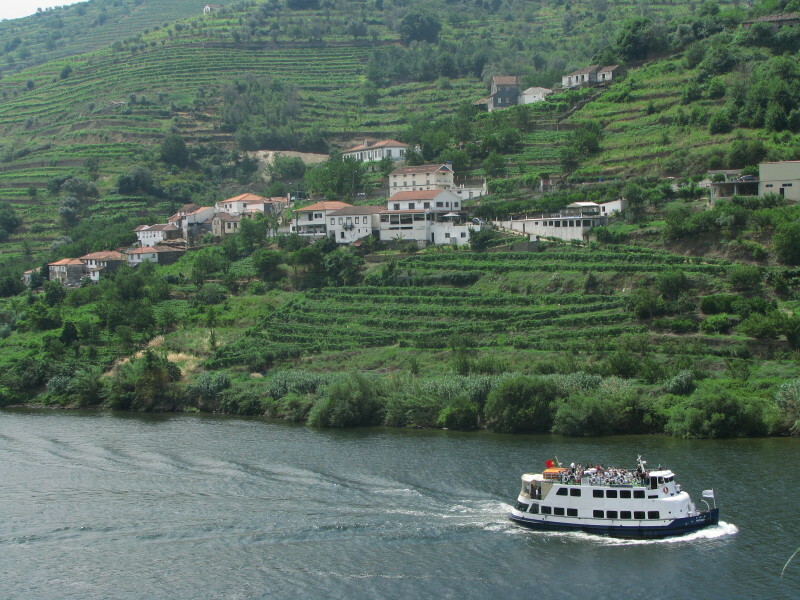 Later, make your way to the hotel in the Douro Valley. 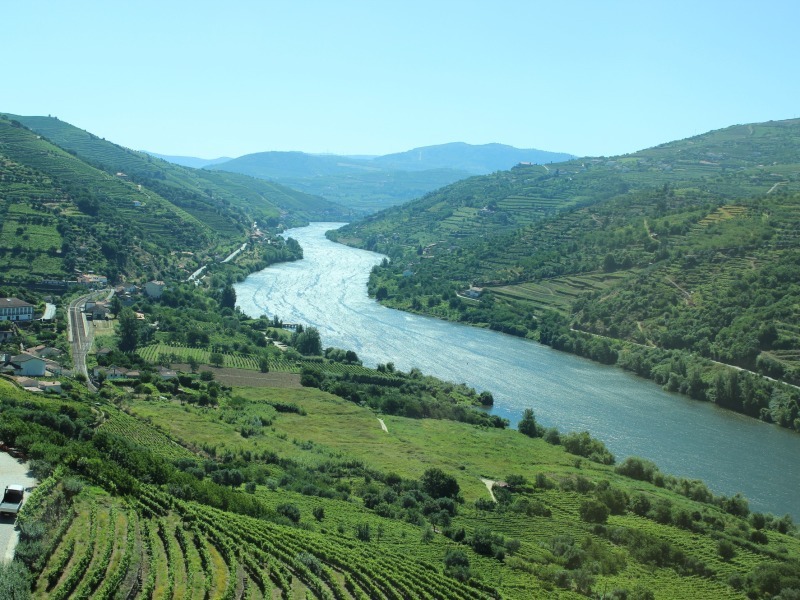 Today, you’ll get to tour some of the best wine producers in Douro Valley. Start your day with a wine sampling, followed by a cruise down the picturesque Douro River to reach at a second winery for lunch and another sampling. Then make your way to a third and final winery and sampling before returning back to your hotel for some relaxation. This morning, get ready to depart the Douro Valley and head south to Sintra, situated not far outside of Lisbon. Spend your entire afternoon and evening meandering through the city on your own. 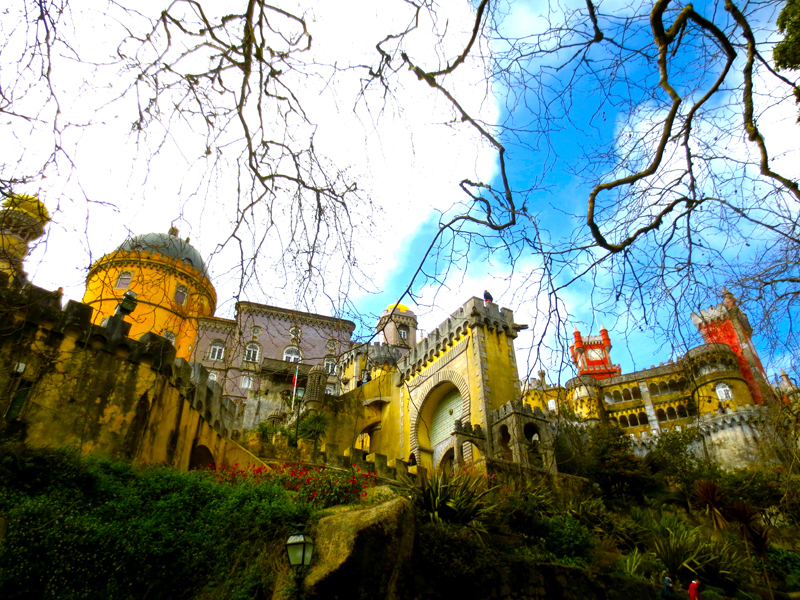 Sintra is famous for its majestic architectural style, which you can explore today on a full-day tour. 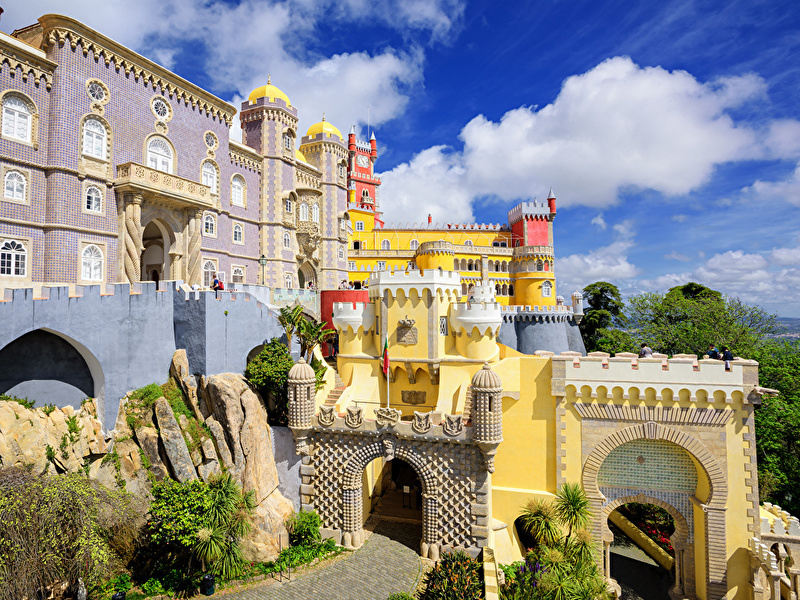 Recognize the mythological symbols covering the Quinta da Regaleira, creating a fairy-tale atmosphere, and soak in panoramic views from towering viewpoints at the Palacio da Pena and Palacio Nacional. At the end of the day, continue your journey on to nearby Lisbon, where you'll stay overnight. 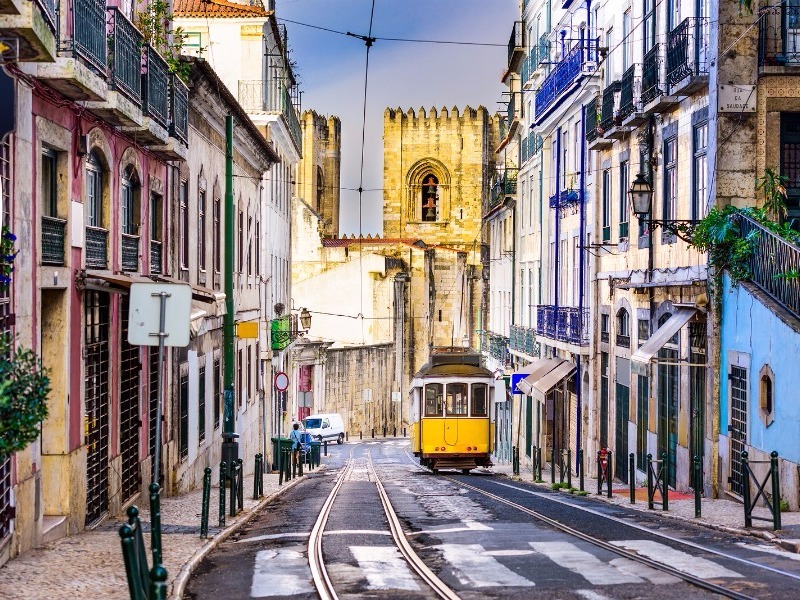 Explore Portugal's colorful capital city today on a full-day tour. Start by wandering through Lisbon's shopping districts and scenic waterfront while sampling traditional Portuguese food and drink. 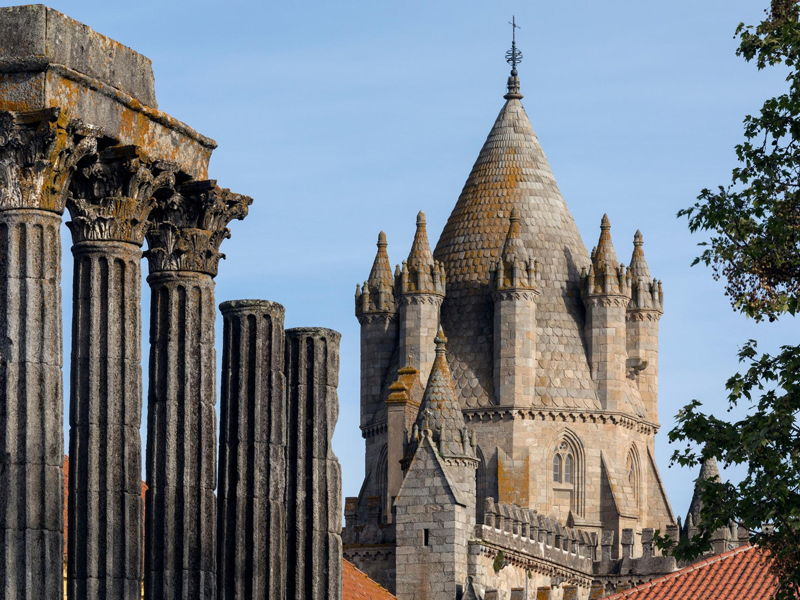 Later, head to Lisbon's outer district, Belem, which is famous for its eponymous tower and the Jeronimos Monastery. After exploring Belem, make your way back to your hotel in central Lisbon. Today morning, you’ll move slightly north of Lisbon to Estremadura, Portugal area last reached by Moorish occupation. Starting the day in Batalha, you'll visit the UNESCO-listed monastery, the Tomb of the Unknown Soldier and the Capelas Imperfeitas i.e. Unfinished Chapels. 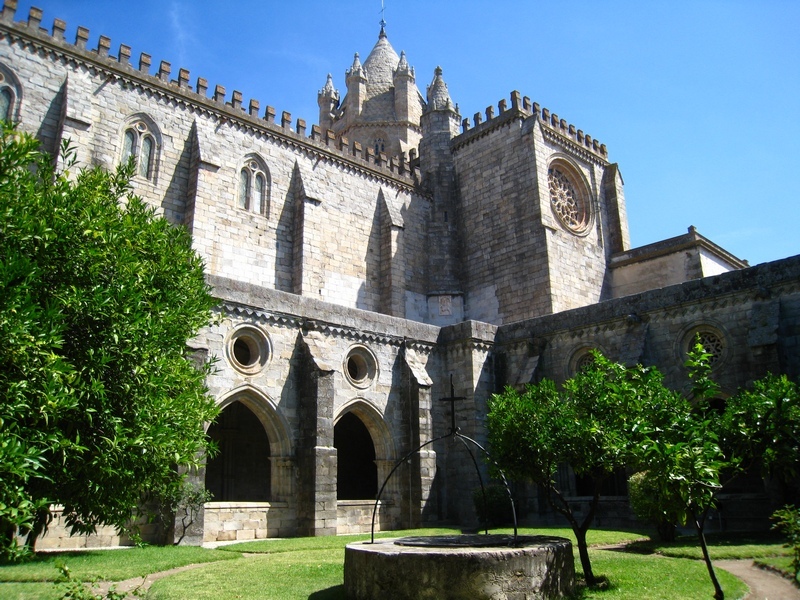 Head out to a second UNESCO-listed monastery in Alcobaca. Continue further on to your final stop of the day, Obidos, where you'll have a stop for lunch among the cobblestone streets. Relish a bit of free time here before you return back to Lisbon. Today, uncover another region of Portugal as you head east of Lisbon to the Alentejo, stopping on your way to visit the Cromeleque dos Almendres. The monolithic stones make up the biggest group of menhirs (prehistoric standing stones) situated on the Iberian Peninsula. Once you've soaked in the glory of the site, continue further on to your hotel in the capital of the Alentejo, Evora. Make your way through Portugal this morning moving south to the sunny Algarve along the coast. On your way from Evora, stop at a countryside winery in order to meet the family that runs it and relish a short tour and tasting, accompanied by a delicious traditional lunch. After your lunch and tour, continue further on to your hotel in the Algarve. One of the most classic dishes of the Algarve is cataplana, which is basically a seafood dish named for the pot in which it is cooked. Learn how to prepare the dish yourself today. You’ll meet your professional chef-teacher in the market to shop for the ingredients and then head back to the kitchen for a cooking lesson. Enjoy the mouth-watering results over a glass of wine and then return back to your hotel. The Algarve's marvelous coastline is best enjoyed up close, which you'll get the chance to do today on a full-day coastal hike tour. Starting in Lagos, venture along dramatic cliffs, swim at quaint beaches and take a short boat trip in order to get a closer look at seaside stone arches and grottoes. After a day of hiking, today you’ll enjoy some relaxing time at your hotel. Make use of some of the facilities available at the hotel or you can also head to the water for one last beach day. Bid a final goodbye to Portugal today as you return back to Lisbon to catch your flight back home.